Each user can organize the cameras this user has access to into meaningful groups for more effective camera selection. 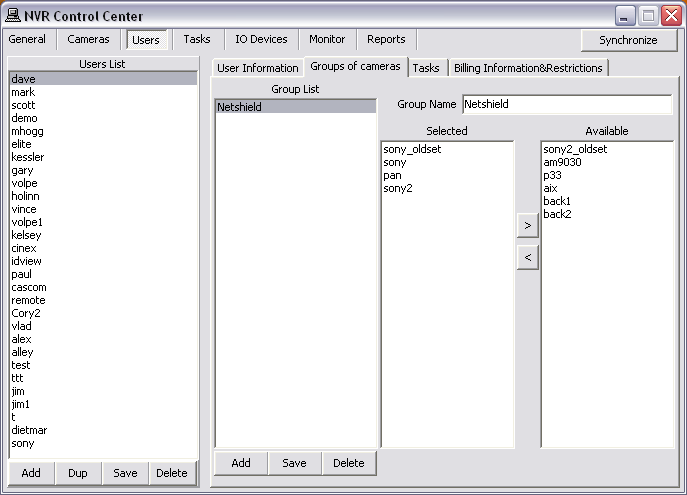 In the NVR Control Center — Users select a user from the Users List and switch to the Groups of Cameras. Press Add button below the Group List and enter Group Name — the name appears in the list. Select a camera from the Available cameras list and click "<" button to add the camera to the Selected cameras list. Press Save button below the Group List list to save the group. Select a group from the top list to see the cameras from this group only. Select a camera from the cameras list. Click GO button to launch the camera live view. 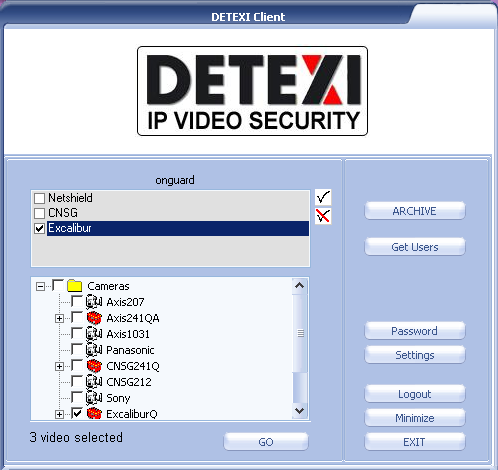 In the Remote Client the cameras available in the start page cameras list will depend upon the user logged in permissions.